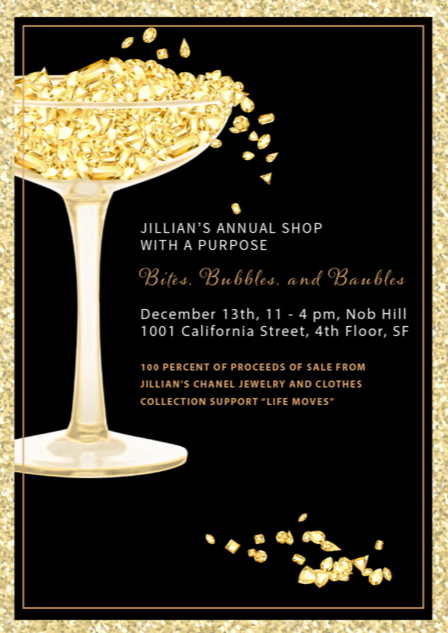 CANOPY Member, Jillian Manus, invites you to her annual "Shop With A Purpose" event. Featuring jewelry from Susie H of MDVII and Jillian’s vintage Chanel collection. Great pieces not to be missed! 100% of Jillian’s proceeds go to Life Moves. Life Moves is breaking the cycle of homelessness and provides interim housing and supportive services for homeless families and individuals to rapidly return to stable housing and achieve long-term self-sufficiency. Stop by any time during the day!